For the first time in years, a chimpanzee named Iris is getting the chance to live closer to how nature intended: with the companionship of others like her. Since 1999, the 40-year-old chimp had been trapped in a roadside zoo in Georgia where she spent much of her time out of sight, huddled in a darkened enclosure. Iris had been kept with her mother and other chimpanzees there, but by 2012, they had all passed away and she began showing signs of deep depression. "Her life was boredom and monotony," PETA's deputy director of captive animal law enforcement, Brittany Peet, told NBC News. She described the room where Iris stayed in isolation as a "small, dingy space where she ate, slept and defecated." Iris may have felt hopeless inside her cell, but behind the scenes, PETA was securing her rescue. After learning of the lonely chimpanzee's plight, the animal welfare group successfully lobbied the government to order her release to a sanctuary. 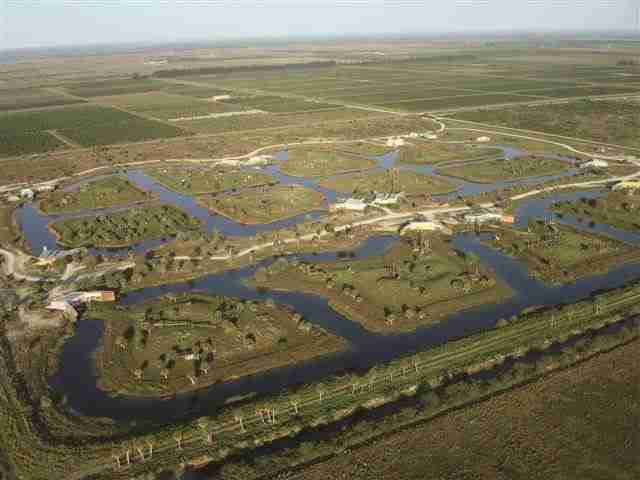 On March 3, that day finally came as Iris was relocated to Save the Chimps in Florida, the world's largest sanctuary for rescued chimpanzees. "It's likely been years since she has seen another chimpanzee! But she has already made new friends and is feeling at home here," the sanctuary wrote of her arrival. "A rescue isn't an end, but a beginning!" 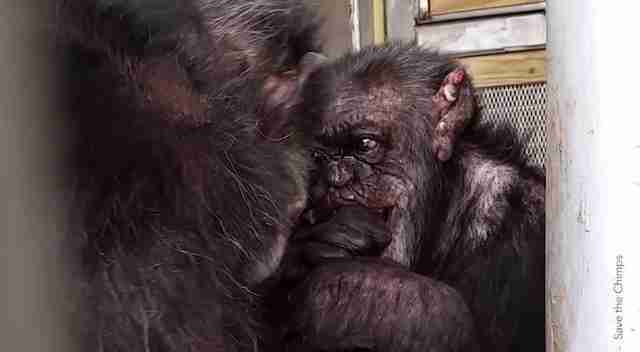 Footage from the sanctuary shows Iris, who had spent so long on her own in both figurative and literal darkness, opening up with her new neighbor, another rescued chimp named Abdul. 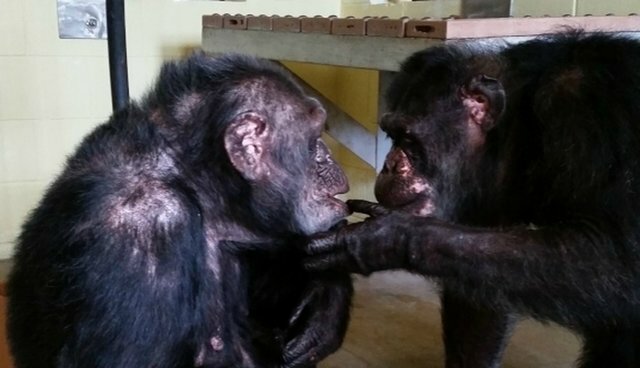 The pair bonded immediately, say their caregivers. To learn more about Iris and find out how you can help other captive chimps, visit PETA's website here.